Why are Christians so Ignorant of when Human Life Begins? Christians are sorely mistaken about when human life begins, yet the bible tells believers in several places when a fœtus becomes a living being. It is not at the moment of conception as the pro-lifers have insisted for the last thirty years…, though not before! The bible does not support the idea that God makes a human being at conception. Conception is when a living sperm from a male penetrates a living ovum in a woman forming a living fœtus, but it is wrong to think that, from then on, the fœtus is a living human being. The bible says a fœtus must draw a breath to become a living person with a soul. It is clear. God formed the first man in Genesis 2:7, but Adam was not a living being until he had taken a breath. God “breathed into his nostrils the breath of life and it was then that the man became the living being” whom God named Adam. Thus says the Lord God to these bones, Behold, I will cause breath to enter you, and you shall live. And I will lay sinews upon you, and will cause flesh to come upon you, and cover you with skin, and put breath in you, and you shall live, and you shall know that I am the Lord. It is absolutely clear that God instils life into dead matter by His breath. Exodus 21:22 adds that if a man causes a woman to have a miscarriage, he shall be fined, but, if the woman dies then he will be put to death. The death of a fœtus is not equal to the death of an adult woman because the punishment for the abortion is merely a fine, whereas the death of the living woman was its equal—death! The bible does not class the death of the unborn infant as a capital offense. The bible does not equate destroying a living fœtus with killing a living human being, even though we know the fœtus has the potential of becoming a human being. One can not kill something that has not been born and not yet taken a breath because it simply was not considered alive. Equally, a stillborn child could not be considered to be a living human being either. Of course, a mother will feel the loss because a fertilized egg has the potential of being born and therefore of becoming a living being. But sadly, not all of them do! Indeed, every living sperm has the potential of becoming a human being, although not one in a million will make it. The rest die, but it is absurd for a mother to grieve over all the potential children she could not have. The Christian has to accept that God has provided for around a third of all pregnancies to be terminated by a spontaneous abortion during the first three months of pregnancy, and that some more will be terminated even after the first three months. Like it or not, God does not regard the loss of a fœtus any differently from the loss of a placenta or a foreskin, both of which were living tissues which grew from conception. On the other hand, God made it plain that murder of a living being, one which had breathed a breath of air, was wrong. It was wrong to sacrifice one’s infant son, like Isaac. The Commandments say it is wrong to murder, and a judicial murder is justified only in particular circumstances that are far from common, and indeed Christ’s plain instruction is that such judgements should be left to God. US Christians particularly get terribly exercised about abortion but have a psychotic inclination to condemn adults all too freely to often cruel deaths. They take a line diametrically opposed to the teachings of the bible, particularly the teachings of Christ, whose unmistakable message was one of love of others. Needless to say, murdering people is not loving them, though US Christians cannot see anything wrong in it. In contrast, tissue that has no soul, until God breathes life into it, according to the bible, is defended as if it were Christ himself facing crucifixion anew. They really ought to discard their wicked pastors who teach them what suits them rather than Christian morals, and start to read the bible, especially, as Christians the New Testament, for themselves. 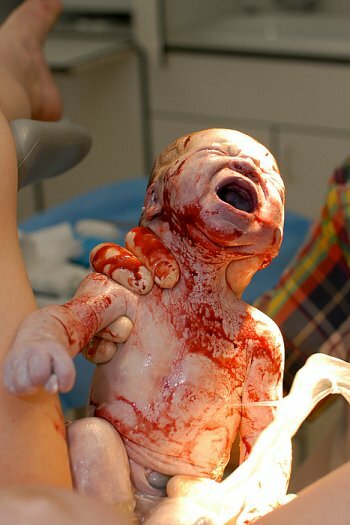 Aborting a fœtus is not pleasant or optional, but it is not an equal sin to killing a living, breathing human being.